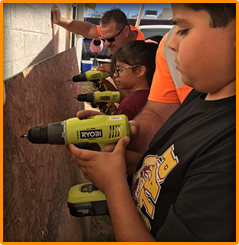 Located in Maricopa County, Arizona, Paloma Elementary School District serves families in the community of Gila Bend. We have an excellent student-to-teacher ratio, which means that our students have access to the attention and support they need to truly thrive. In the pages below, you’ll find information about our district, our administration and teachers, and our governing board. You’ll also have a chance to read a little more about why Paloma ESD is a great option for your family.